He never intended to fall in love with her... Tad Palmer makes a promise to his dying friend to watch over the man's wife and child. Years later, he continues to keep an eye on Posey Jacobs and her precocious little boy. The only problem is that he's not sure his heart can withstand the vow he made when he falls in love with the widow and her son. 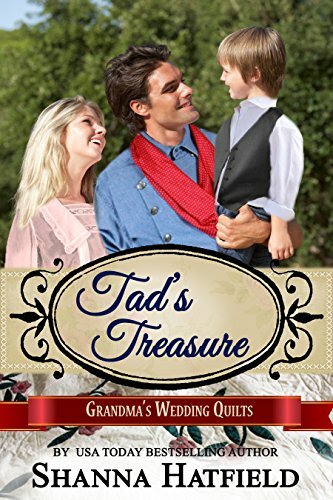 Posey Jacobs misses her beloved husband, but her wrenching grief has given way to hope for the future as she finds herself falling deeper and deeper in love with Tad Palmer. However, the infuriating man doesn't seem to notice her interest and treats her as he would his sister. Throw in a goat who thinks she's a dog, a town full of quirky characters, and this widow has her work cut out for her if she wants one handsome cowboy to give her his heart.